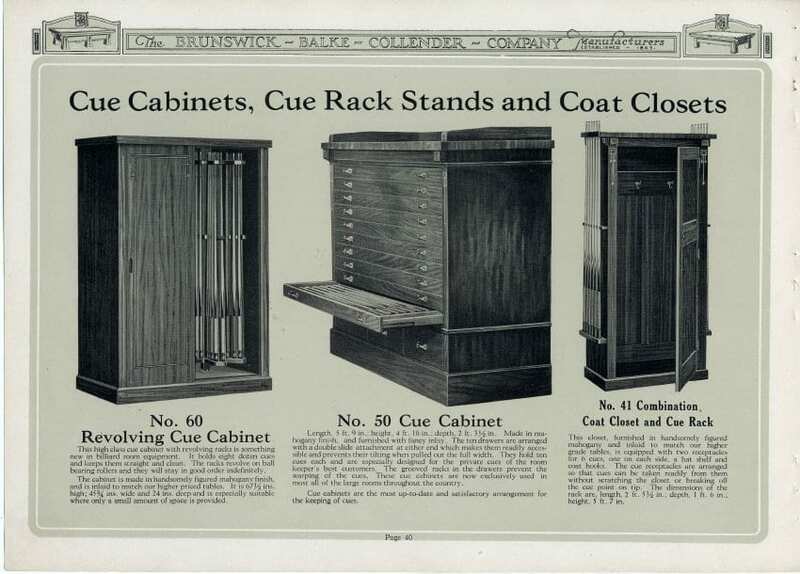 The information below is from page 40 of the 1926 Brunswick Billiard Table Catalog, Brunswick, Balke and Collender Company. Length, 5 ft. 9 in ; height, 4 ft. 10 in. ; depth, 2 ft. 3 1/2 in. 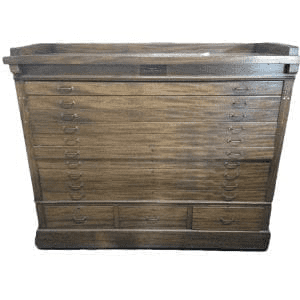 Made in mahogany finish and furnished with fancy inlay. The ten drawers are arranged with a double slide attachment at either end which makes them readily accessible and prevents their tilting when pulled out the full width. They hold ten cues each and are especially designed for the private cues of the room keeper’s best customers. The grooved racks in the drawers prevent the warping of the cues. These cue cabinets are now exclusively used in most all of the large rooms throughout the country. 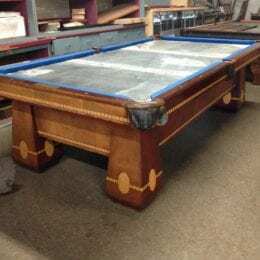 Cue cabinets are the most up-to-date and satisfactory arrangement for the keeping of cues.